Daniel Kitchens, a native of Dallas, Texas, earned his BM in Performance from Texas Christian University and his Postgraduate Diploma in Performance from the Royal College of Music in London. During his studies, Mr. Kitchens attended the Eastern Music Festival in North Carolina as well as the National Orchestral Institute in Maryland, where he can be heard on NOI’s first recorded album, released on the Naxos label. Daniel has performed with the Fort Worth Symphony Orchestra, the Dallas Chamber Symphony, and as Guest Principal with the Orquesta Sinfónica Nacional of the Dominican Republic. 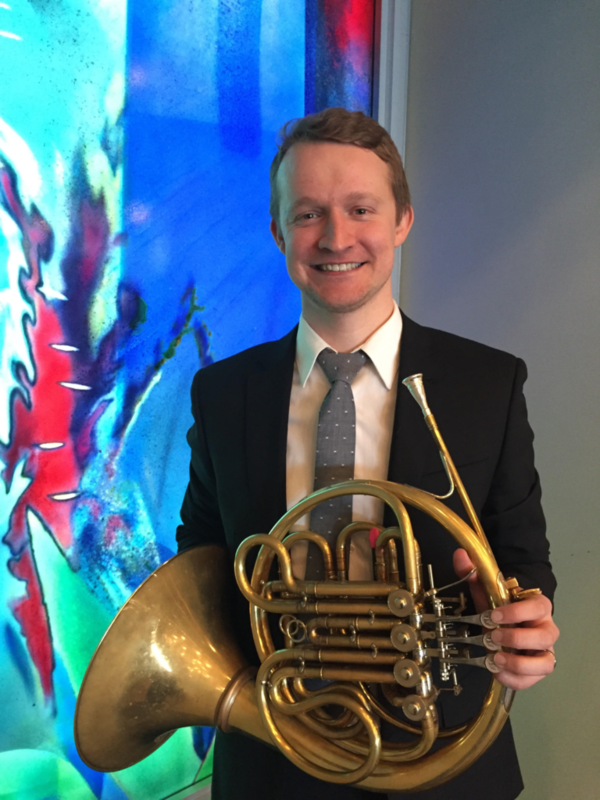 Previously, while pursuing post-graduate studies at Southern Methodist University, Daniel was Third Horn in the Las Colinas Symphony Orchestra and an active freelance musician in the Dallas-Fort Worth area. His primary teachers were Greg Hustis, Tim Jones, and Alton Adkins.